It was a day for the old and the new, starting my day at Brengman Brothers and ending at the legendary and first winery in Leelanau, Boskydel! Brengman Brothers is a beautiful property; it’s only a few years old, but growing leaps and bounds. I had the pleasure of speaking with the events manager, Lauren, and Doug, who was manning the bar. Both were knowledgeable, fun and informative. I love a staff that knows how to inform. We talked of a passion for the land and a desire to be a good steward of that land, whether hosting events, making wine or educating the wine lovers who consume the product. And it’s a common thread among all of the wineries I’ve experienced up here. It strikes a chord with me as travel along through Project 24, wanting to be a good steward of the land and these people in my work! And ending the day with the legendary Bernie Rink of Boskydel Winery. Please, just promise me, that you’ll come here if you’re on a wine tour — if for no other reason than to tip your hat to tradition. But you must bring an open mind and heart. This place is not fancy, they will not try to woo you. 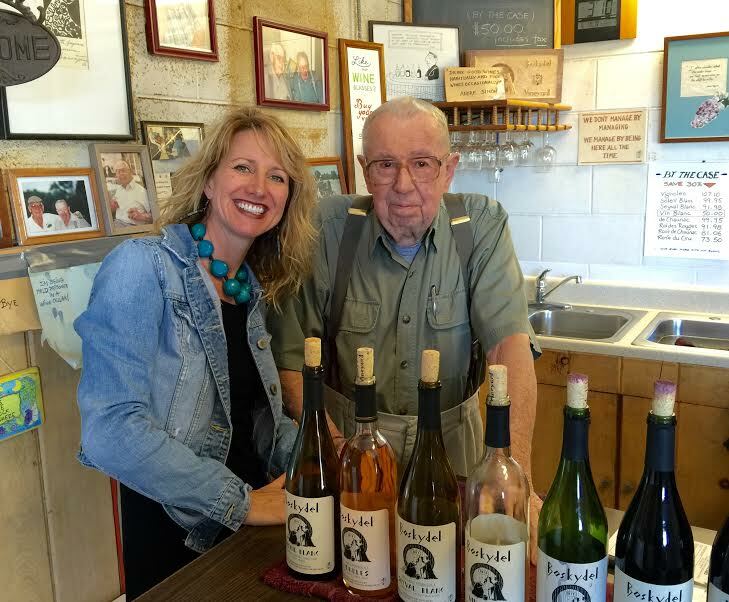 What they will do is grow good wine at a price that people can afford, which has been Bernie’s model since he planted his first vineyards in 1964. He was born a farmer and, at around 88 now, he still is. Salt of the earth, with a pioneering spirit. If you go on Sundays or Mondays between 1 p.m. and 5 p.m., you just might be lucky enough to meet Bernie. If you do this, bring cash and your patience and you will be rewarded. Stephanie Schlatter is an Artist who draws from the world for inspiration. While she calls Grand Rapids, Michigan, home she’s often off on new adventures. For more than a decade, her journeys have taken her across the globe. She has studied art both locally and abroad, including time in Mexico, where she decided to shift her focus from photography to painting. Stephanie's travels led her to found Absolutely Art: A Project for Change in 2006. Through this non-profit organization, she brings art instruction to the children of Ethiopia while supporting their education. Stephanie's work reflects an expression influenced by other cultures which resonates a variety of influences that have given her work direction.